Has the Organic seal lost it’s integrity? We’ve previously covered the allowance of “Organic” Hydroponics, and the postponement of the Organic Livestock and Poultry Practices rule, along with discussing the future of Organics with our friend Peter Grubbe. 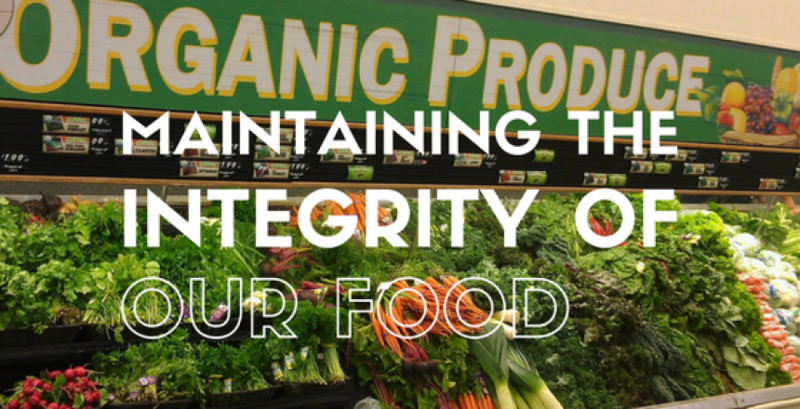 Now, we’re going to summarize the situation, along with suggestions for how to maintain the integrity of our food. In our interview with Jim Riddle, we discussed the basis of the Organic model, and why it became Government regulated to begin with. The standards were a response to both consumer and producer demand, and in fact were rewritten in response to consumer outcry over the laxity of the first proposed regulations. These emerging issues reflect a divergence from and disinterest in the consumers and producers that make the system possible. However, it’s not all bad. As discussed in our interview with Peter Grubbe, this will push some farms that care into taking on additional certifications, to prove that they are raising food the right way and are willing to pay for it if their customers demand it. This will, hopefully, inspire more consumers to search for ways to narrow the distance between them and their food. To seek out local producers instead of only looking for an Organic seal in the grocery store. With news of the delay of the Organic Livestock and Poultry Practices (OLPP) standards, I was pleased to see two of the Organic certifiers take a stand. Both the OEFFA and MOSA, publicly stated that they were appalled that the USDA would postpone enforcement of the rules (again), and stated that they believe implementing this standards would be best for the consumers, producer, and poultry. Additionally, the Organic Trade Association, has sued the USDA for not implementing the OLPP, reminding everyone that we asked for these standards and we will keep them accountable for their side of the bargain. Whether the Organic seal has lost it’s integrity or not is a question only time will tell. We cannot predict the future of food anymore than the future of technology (though I doubt we’ll ever be eating Apple products). What we can rely on is this, if you know and trust your farmer, that’s all the integrity you need for your food.